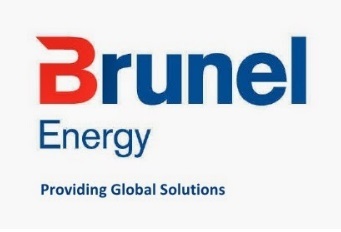 PT Inti Brunel Teknindo, the part of Brunel International with its main office located in Jakarta, provides specialist personnel to the international oil & gas, petrochemical, power generation and construction industries. Our clients are predominantly major operating companies and international engineering or construction companies. We have a global network with local market knowledge in 97 locations around the world. Involves anything from maintenance to rebuilds of engines and other parts of heavy equipment such as KOMATSU equipment supporting the Mobile Maintenance Group. 5-7 years’ experience in the repair of road building equipment such bulldozer, grades, dump trucks, and cranes. Extensive truck, ancillary or excavator experience including but not limited to Electric Drive Komatsu 730E, 830E ,930E. Passport Validity : Minimum March 2019. Duration contract is 12 months. Rotation 5 weeks ON 2 weeks OFF, depends on project deadline. Salary is AUD 350 day at gross with 40% tax. Paid for days worked only, no pay during leave period off. Someone with 10+ years of experience which includes working for an International company (i.e. experience dealing with Expats). Please send your CV, Diploma, Work Certificate and related documents to email: resume@brunel.co.id . FRAUD WARNING!! PT Inti Brunel Teknindo will never ask applicant to pay a processing fee, ask for money or appoint any travel agent for the recruitment process. Thanks for reading PT Inti Brunel Teknindo Jobs: 2 Positions. Please share...!